MondoTunes, the world’s largest digital music distribution channel, created by musicians for musicians, is proud to announce the engagement of POC Media as a Strategic Artist Promotion and Media Liaison, focusing on the social, streaming, broadcast, and online exposure. POC Media, led by CEO Pat O’Connor, is a leading source of Alternative Media Distribution, from the development of in-arena & in-stadium broadcast of music videos to the creation of the POC Media Music Supervision & Management System currently licensed to many of sports broadcasts’ largest media outlets. POC Media’s work in the integrated marketing world has included the development & execution of branded mobile marketing, social media, and consumer activation platforms for companies such as Coca-Cola, Nestle, Walmart, Heinz and many more. Among the artists for whom POC Media has booked and/or produced concerts in conjunction with universities or experiential marketing campaigns are Taylor Swift, Ludacris, TOBYMAC, 3 Doors Down, Train, MercyMe, Rae Sremmurd, Building 429, Sugarland, Brandy, Boyz II Men, and Motley Crue’s Vince Neil among others. 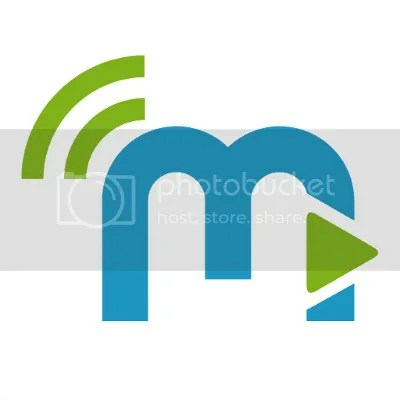 MondoTunes (www.mondotunes.com) provides the largest digital music distribution channel in the world with hundreds of online retail partners in over 140 countries, and supplies upstream services for major labels in search of breakout artists. 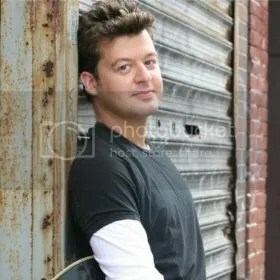 Hello, my name’s Sean McCauley, and I’m the Senior Editor at MondoTunes. I have penned over 1,250 press releases for independent (and signed) music artists from all over the world. My MondoBlast press releases reach every corner of the Internet and are viewed thousands of times each month by music fans of all ages. For an idea of how musicians feel about my work, please read some real reactions below — they are only a slice of a much, much larger body of accolades of which I am very proud. (Also, feel free to contact my desk directly at SMcCauley@Mondotunes.com). I just wanted to say thank you for such a beautiful Press Release! I love the fact that you did some research on the songs as well! You really captured in words what I was aiming for. Wishing you a wonderful weekend and thanks again for such a wonderful release! Everything you wrote was fantastic and well put. I feel like you understood me as an artist from what you wrote. Hey Sean—You did a wonderful job. I wouldn’t have the balls to describe myself in such glowing terms but you make it work. Thanks so much. I will definitely be promoting this press release blogs and so on—both via Facebook, my own mailing list, Twitter etc. I also managed during the wait for the digital releases–to get the physical CD back in the store at Amazon so I’ll be tying that all together. Thank you again. I’m very happy to be with Mondo. Again, you did a great job. Thank you SO much for such an AWESOME press release! Geez, Sean! You ROCK! (btw: Sean was going to be my name if I were born a boy!) What a great writer you are and I truly appreciate every lovely word! 😉 I look forward to looking into your books! I would just like to express my sincere gratitude for the amazing press release you wrote, as well as getting everything released on time!! This is my first release using Mondotunes and I can see myself staying with you guys from now on!! I know you guys are a small team but I am so happy to be on board with a company which keep their promises!! So thank you!!! First off thank you for your work and effort in this matter. Now, let me say that this is the best write up I have received up to current. The wording is excellent and you took time to research not only me as an artist but the family and the product I have released, even down to the detail of the video director which I honestly didn’t recall. 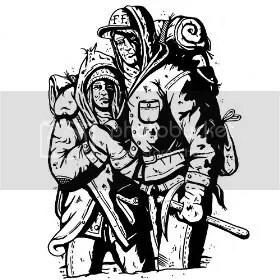 I must commend you on your hard work and I will surely use MondoTunes in the future and will give a great recommendation if ever the situation arises. Thanks for the work, fam. Thank you for your help. So many times there seems to be no friends made in business, but I feel like Patsy and I have been blessed to hook up with you at Mondo Tunes. Your press release looks great. Let me get over and read it again right now. Your press release is great! I am the son of a Journalist and never have I seen a better review than that! I bow to the connoisseur in you and your great taste in superb music! WOW! This is not only well-written but imaginative and comprehensive to say the least. Outstanding! I can’t even believe it’s about us. Hey, thanks for really listening. It shows and I can’t thank you enough. Thumbs Up! Thank you so much im so happy with what you wrote. I really can not thank you enough for everything thus far you have done for Halo Minor and Livid Lover. The reviews are so creative, engrossing, provocative, and insightful. You really have a gift. I feel like for the first time somebody actually listened close enough to catch some very fine details in what has been attempted with these recordings. I am doubly thankful that your reviews will enlighten other listeners to engage further into the art. I do wish to get Halo Minor out to LA to play sometime in the future. I may be going to another Road Rally this year to network and pitch. Perhaps if you are around I could stop by and say thanks in person. Have a wonderful day Sean. I meant to do this ages ago, but I’d been distracted by life issues. I will never forget the kind and very thoughtful words you wrote on my blog. It means a lot. I can see the passion and sincerity in your work too, and it’s refreshing to meet people that appreciate honesty and use words the way an artist would use color tones on his paint brush, it’s inspiring. You and what you do are a blessing, essential to this industry and if I can return the favor and promote your agenda in any way feel free to let me know. I specifically wanted to pull up this e-mail from you. I was so moved and touched by your kind words and comments, I actually cried. Your article was important to me because, as you know, “Dizzy” was my first release. I am en route to Nashville from New York, as I write this to you. I begin recording tomorrow at OmniSound Studios to complete my album. Thank you so much for an awesome press release! I was blown away when I read it. You sir, are an excellent writer. I was so blessed to hear that you enjoyed it. I truly hope I get the opportunity to work with you again. The experience was phenomenal. And please, call me Ruben. Thank you again for such wonderful writing. It was truly beyond my expectations. Many blessings to you my friend. Thank you for the amazing press release Sean! I just read through it all and couldn’t be more happy! I’ll be sending it out to all local papers, social media sites, radio stations, etc., so that it can reach people right when it’s released. My next project is already underway, and I do hope you’ll be the writer once again! Thank you so much Sean. Thanks again for the job u did on the press release. It was awesome as always.. I really appreciate it.. We will be working again soon God willing. I already have something set up to release in the top of 2016 that I am working on. Can’t wait to see what kind of press release u will draw up for me then! 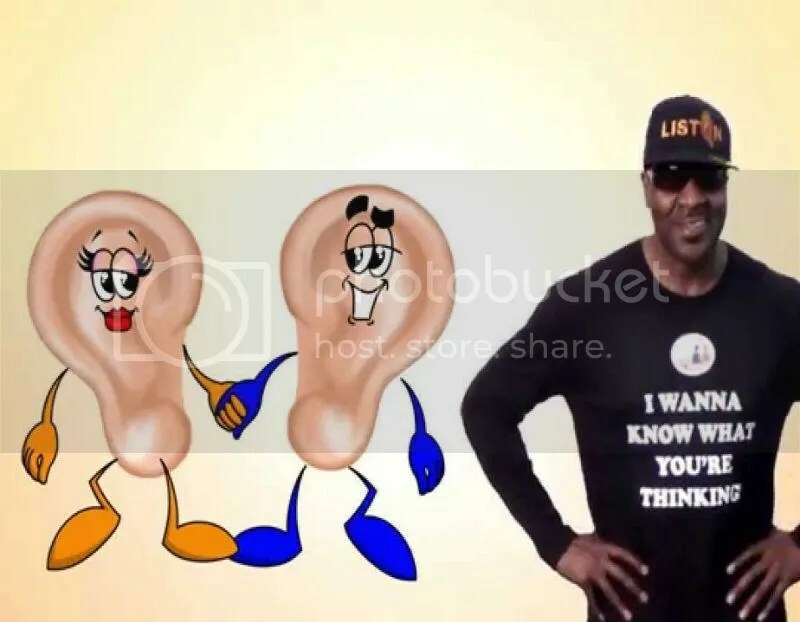 Up and coming artist the Stereojack has released his latest single, “Believe.” The track has been released on the Bugs Records music label and warmly received by audiophiles of the Internet everywhere. Upbeat, exotic and unstoppably positive, “Believe” is yet another example of how much more easily independent music can reach the hearts and personalities of the world’s most discerning music aficionados. 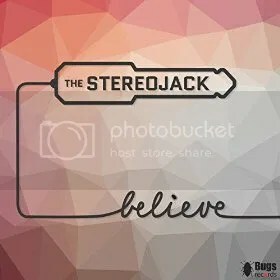 The Stereojack’s “Believe” single has been categorized as pop, euro- pop and pop rock respectively, but it has much in common with other subgenres, as well. An unmistakable reggae groove runs throughout, with vocal and instrumental overtones that take cues from the ska tradition. Mixing remarkably well with this island warmth are trappings of the old-school house music scene. 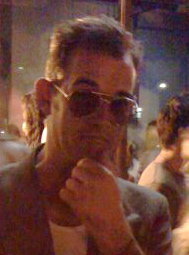 Digital elements such as mixed drum beats and surprising, delightful synth phrases blend so discretely in “Believe” that fans of house music could miss the ska attributes altogether, even as evident though they are, while longtime listeners of the Specials and Madness could feasibly focus on the vocals and blasts of brass, and never notice the synthesized characteristics of the Stereojack’s single at all. An entire LP of such music could passably warrant a new subgenre all its own. The Stereojack himself cites as main artistic influences a broad, sweeping list of musicians who share only a consistent thread of absolute quality between them. Among these are the Beatles, Queen, Kraftwerk, Allister Brimble, U2, Waltari, David Bowie, Orbital, Fatboy Slim, Underworld, Morcheeba, Beck, Red Hot Chilli Peppers, Regina Spektor, and Norman Cook. This copious collection is an iceberg’s tip, and one gets the impression that the Stereojack has a library of musical interests (and activities) that he prefers to keep separated. All in all, “Believe” is a blue-collar masterpiece for anyone who appreciates feel-good music that seems written for the listener and performed directly to the listener – or to put it more succinctly, it’s for everyone. “Believe” by the Stereojack is available online worldwide. label. A blend of pop, modern folk, and country music, “Celebrate Life” by Mark Bryce has something for everyone and proves that this American performer deserves his FM airtime. Mark Bryce’s “Celebrate Life” EP belongs in a play list which might include the above artists, yet maintains its own unique sound. Much of this comes from the character of Mark Bryce, himself. narrative of his songs, each of which is based on the life of Mark Bryce, himself. Even his professional name, in fact, is part of his ongoing story. Mark Bryce has since returned to Long Island, the tale of which is recounted in his “Yellow Brick Road.” He hopes to make a place for himself soon in Nashville, TN, also. “Celebrate Life” by Mark Bryce is available online worldwide. 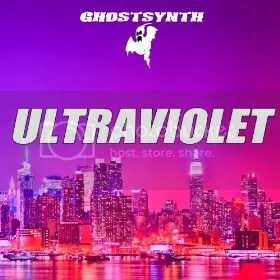 The composer and producer of electronica and house music known as GhostSynth has released his latest single, “Ultraviolet.” The track has been concurrently released with three additional singles, “Game Changer,” “Journey,” and “Lethal Injection,” all available online worldwide. These tracks showcase GhostSynth as one of London’s most creative and unpredictable composers of house music, as well as one of the names to watch as the dubstep craze begins to give ground to the lasting power of house and trance EDM. GhostSynth cites as main artistic influences many of the founding fathers of the European electronica sound and of popular electronic music in general, such as Giorgio Moroder, Jan Hammer, Joe Meek, Vangelis, Jean Michel Jarre, Michael Jackson, Grandmaster Flash, Eric Prydz, Swedish House Mafia, and deadmau5. His own sound hearkens to the early days of digital dancefloors, when bands like KLF, EMF and the Orb ruled “alternative” radio stations and kept beats alive. It was in these formative years that GhostSynth found his sonic calling. The house music GhostSynth makes is pared down to its core elements. Instrumentation is sparse, melodies are bright and clear, and his overall composition proves that excess is not his thing. Songs like “Ultraviolet” and “Game Changer” glow in their sonic simplicity. “Ultraviolet,” as well as “Game Changer,” “Journey,” and “Lethal Injection” by GhostSynth, are available at 700+ online stores around the globe. The Netherlands-based rock crew known as SixStringSurfer have released their latest single, “Kick That Ball – Soccer Singalong Song.” The track is a classic-rock jam in the tradition of such sports-adopted tracks as Gary Glitter’s “Rock ‘n’ Roll Part II” and Queen’s “We Will Rock You,” written and recorded specifically to celebrate the 2014 World Cup in Brazil. The track is straightforward, fun, energetic, and sure to add spice to any futbol parties anywhere in the world. SixStringSurfer cite as main artistic influences such legends as Slade, Led Zeppelin, Black Sabbath, Pink Floyd, Rammstein, Jeff Beck, Jimi Hendrix, Joe Bonamassa, Gary Moore, Larry Carlton, Wes Montgomery, Beyonce, Madonna, Andrea Bocelli, Beethoven, Bach, and Erik Satie. Of these, most of their inspiration for “Kick That Ball” comes from Zeppelin and Sabbath, the resulting blend sounding not unlike the more thumping moments of AC/DC. SixStringSurfer’s enthusiasm for the sport of soccer is plain to see, and especially as regards the current contest in South America. SixStringSurfer is made up of Vinnie and Ernie, AKA BrainStorm. Vinnie has been playing guitar for more than two decades, largely along the rock, pop, and blues lines. Having been brought up singing traditionally, it was not until he heard the singing of Rammstein’s Till Lindemann that he realized he, too, could front a rock band. Ernie’s musical talents stretch from guitar to keyboards, bass to drums, songwriting, composing, engineering, mixing, and even mastering music. He has played for many years in a Pink Floyd tribute band as well as several others, and spends his extra time producing music in the sound studio. 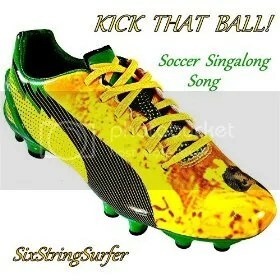 “Kick That Ball – Soccer Singalong Song” is available online worldwide. Don’t miss the official music video, either, also available online. The singer and songwriter known as Lou Ward has released his latest single, “I Wanna Know What You’re Thinking!” The single has been released worldwide with an official music video. A funky, groovy track with elements of soul, R ‘n’ B and Motown, “I Wanna Know What You’re Thinking!” is a song with which anyone can relate. 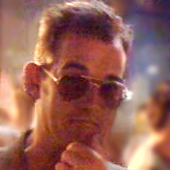 Ward cites as main artistic influences such legends as Smokey Robinson, James Brown, Al Green, Sam Cooke, and David Ruffin. Attributes of each of these can be easily discerned in his “I Wanna Know…” single, and fans of them are likely to receive the single with appropriate enthusiasm. Ward has been singing since early childhood. His first accolade was in high school, winning the statewide Male Low Voice Competition by performing Paul Robeson’s “Old Man River.” He began penning his own songs soon after. He wrote music in college as well as during his tour with the US Navy. An agent for Sony Records and the Apollo Theater heard Ward’s music and Ward was nearly signed to Sony in 1992. Circumstances prevented this, and Ward dedicated himself to his wife and family to raise their children. The music world was not done with him, however. “I Wanna Know What You’re Thinking!” is available online worldwide beginning 21 June 2014. The indie band known as Farewell Friend have released their latest single, “Brother’s Keeper.” The track has been released concurrently with two B-side offerings, “One Week One Thought” and “They All Were Dancing.” Together the trio comprise an approximate total listening time of approximately fifteen minutes, making this early release from Farewell Friend similar to an unofficial EP, but still bearing the price tag of a single. Farewell Friend cite as main artistic influences Ryan Adams, Ray LaMontagne, Bon Iver, and Tom Petty. While their own sound has attributes which are evidently inspired by these, the ultimate Farewell Friend experience is unique. Their vocals lie somewhere between Ryan Adams and Mumford and Sons, which is intuitive, but occasionally exhibit fleeting touches of Liam Gallagher of Oasis (“They All Were Dancing” in particular). A vibraphone lends “Brother’s Keeper” colorful and uplifting undertones which soften the emotional tension, such creative instrumentation as one is unlikely to find on the next Magnetic Zeros record. In the end, the message seems a stoic one. “Life’s a gamble and some things are out of reach,” they conclude. “Brother’s Keeper” by Farewell Friend is available online worldwide. Get in early. 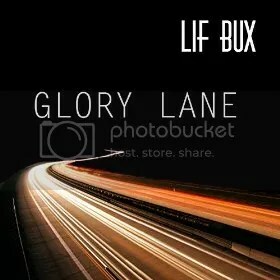 The rapper and songwriter of hip hop known as Lif Bux has released his latest single, “Glory Lane.” The single has been released on the Funksect Records music label, publisher of the popular “Le Dernier Cri” series of compilation albums. The highly anticipated second volume of “Le Dernier Cri” was issued in September of 2013. Already being received with the same intense level of fanfare, “Glory Lane” by Lif Bux promises to be Funksect’s most prominent release to date, one which stands to put both Lif Bux and Funksect on the radar of audiophiles everywhere. Lif Bux cites as main artistic influences Pharrell Williams and Michael Jackson. As might be intuited from this sonic pairing, “Glory Lane” signifies Lif Bux as an eclectic songwriter with exquisite taste who blends pop, funk and hip hop together for a danceable, groovy experience suitable for parties, clubs, and casual listening alike. Lif Bux is a native of Philadelphia and has worked with several A-list musicians, such as Jazmine Sullivan, and has opened for such legends as Wiz Khalifa. He is active in the theatrical community and recently released a short film, “Built from the Ground Up.” His thriving fan base boasts members from both musical and theatrical circles. “Glory Lane” by Lif Bux from Funksect Records is available online worldwide. 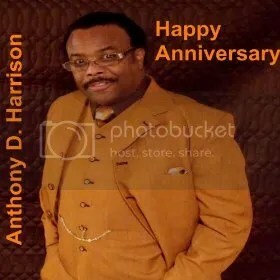 The singer of rhythm and blues known as Anthony D. Harrison has released his latest single, “Happy Anniversary.” The track is a romantic homage to blushing brides everywhere as well as to the institution of marriage overall. It has been published on the Image Maker Records music label. “Happy Anniversary” is the most significant release from Anthony D. Harrison since his popular “I Would” release on Image Maker, which appeared on digital shelves in May of 2014. This was preceded by his equally celebrated “Freebird” single from the same publisher approximately a year earlier. “Happy Anniversary” also has the distinction of being Harrison’s first Image Maker single to be released with a corresponding official music video (link provided below). Fans of R ‘n’ B written and performed in the soulful, traditional style have been enthusiastic about new material from Anthony D. Harrison since the 2013 announcement of his collaboration with veteran music producer Elroy Jackson, better known in industry circles as Thaproduca. Harrison cites as main artistic influences such legends as Marvin Gaye, Luther Vandross, Aretha Franklin, Earth Wind and Fire, and Cameo. Music fans who have enjoyed records from this distinguished roster have much reason to lend an ear to Harrison’s “Happy Anniversary,” as it stands as one of the most prominent modern examples of the legitimate R ‘n’ B sound to emerge in some time. “Happy Anniversary” by Anthony D. Harrison is available online worldwide. Be sure not to miss the official video, also available online from Image Maker Records.